NEW BRITAIN - Big changes are coming to the Atlantic League in the 2019 season, and the New Britain Bees are waiting with open arms. As part of a new partnership with Major League Baseball, the Atlantic League has agreed to adopt a number of new rules this season to test their impact on the pace of baseball, including the elimination of mound visits, shift restrictions, increased base sizes, fewer time in between innings and moving the pitcher’s mound two feet farther away from home plate for the second half of the year. The Bees, just weeks away from starting their spring training in preparation for Opening Day on Apr. 26, have welcomed the changes that are sure to require an adjustment period. But they believe it will ultimately result in more exposure for the team and its players that hope to find themselves in affiliated baseball at some point this season. While the Hardware City has softened up to the changes planned for America’s Pastime, others around the league haven’t shared the same warm embrace. Tyler Badamo, a pitcher for the Long Island Ducks (where former Bees manager Wally Backman prepares for his first season in the same role) who has pitched as high as the Triple-A level, took to Twitter to voice his displeasure shortly after the new rule changes were announced. Members of the Bees acknowledge such concerns, but ultimately, they are ready to make the necessary adjustments and be a pioneer for the potential future look of baseball. Of course, Simon’s sinker will need its own adjustments, since his current sinker which currently breaks below a hitter’s knees would break two feet in front of home plate in a few months. He plans to throw on flat ground from the new distance of 62 feet, 6 inches as the second half of the season draws closer and throw a few bullpen sessions in the weeks leading up to the new style of baseball. Simon and other Atlantic League pitchers will also have to do without mound visits from their pitching coach, a change that Simon considers minor, given what mound visits are actually used for nowadays. While some of the changes have pitchers around the league frustrated, there is a tradeoff that comes with the revolutionary TrackMan technology that will be installed across the league, allowing pitchers to see their spin rate, velocity from various release points and the exact movement of their breaking balls, which could help scouts discover hidden gems that may not have been noticed before. Position players are also looking forward to receiving a more detailed analysis on their offensive performance, including infielder Vinny Siena, who had access to TrackMan technology when he was a part of the Mets farm system. Ultimately, the Bees hope the new changes lead to larger crowds who want to get a first-hand look at how MLB might look in the coming years, with the Atlantic League and New Britain serving as Ground Zero for such groundbreaking alterations. 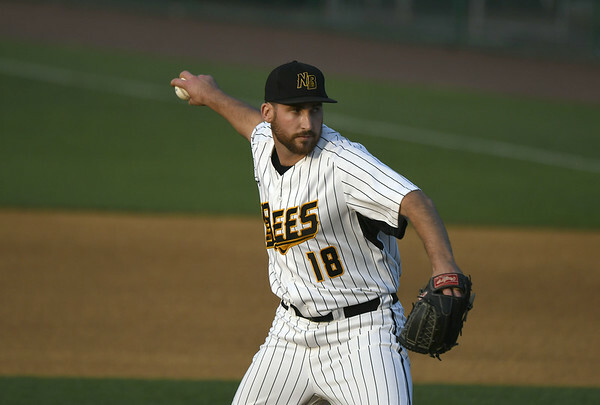 Posted in Newington Town Crier, New Britain Bees on Thursday, 21 March 2019 20:24. Updated: Thursday, 21 March 2019 20:27.